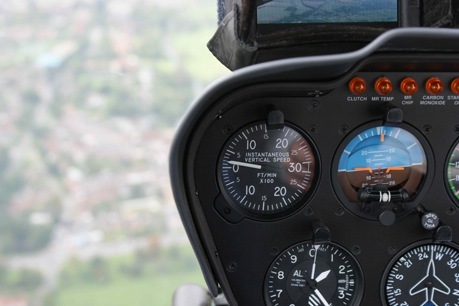 These are some of the shots from an aerial shoot over Wiltshire whilst making a programme about the Wiltshire Parish Stewards for Wiltshire Council. Aerial filming can really lift a production. We have gained a lot of experience in this area working with the top UK aerial filming companies, Flying TV, Arena and tenthirteen. 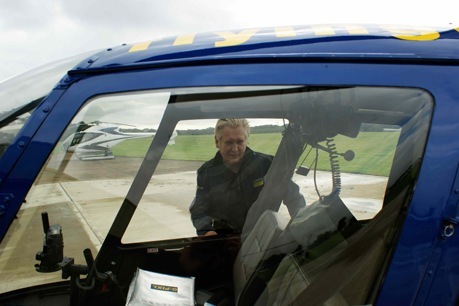 Quintin Smith - Pilot on the Wiltshire Council shoot - Quentin is undeniably the most experienced R44 pilot in the world. A record-breaker, he has twice circumnavigated in an R44 and flew the first piston helicopters to land at both the North and South Poles. These were also R44s. Q is a former World Freestyle Helicopter Champion, but fortunately didn’t re-enact his triumph whilst filming for us. 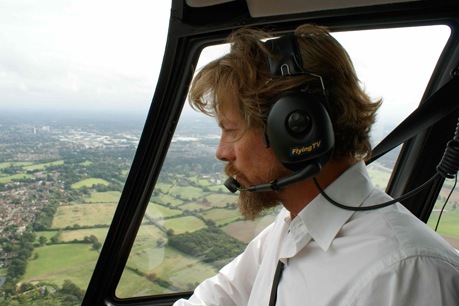 Mike Smith - founder and owner of Flying TV . Yes, you will remember him as former top Radio One DJ ! 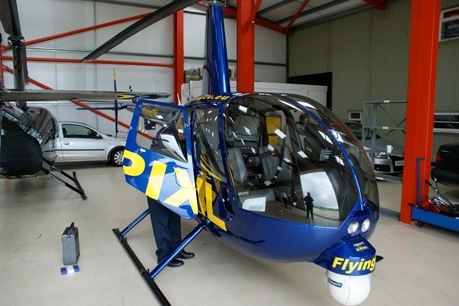 Robinson R44 helicopter with a 5-axis gyro-stabilised Cineflex camera ball.